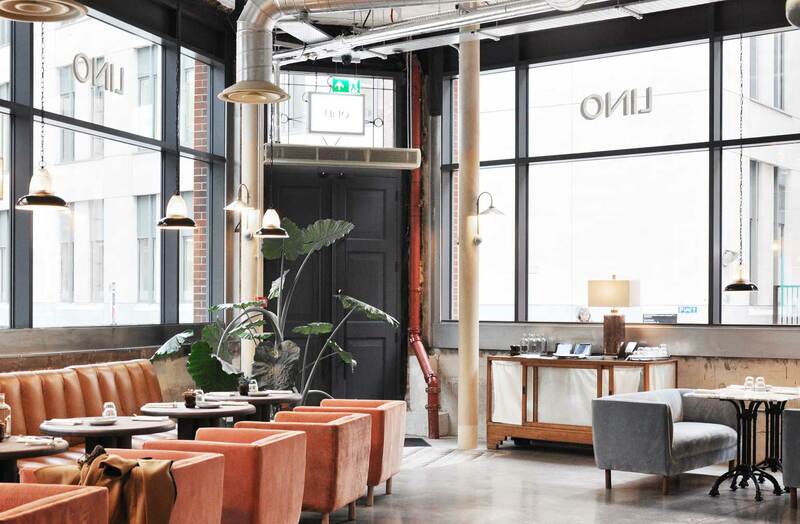 Red Deer has put a Nordic spin on the interiors of new London restaurant LINO, bringing warmth to the former factory’s industrial shell. 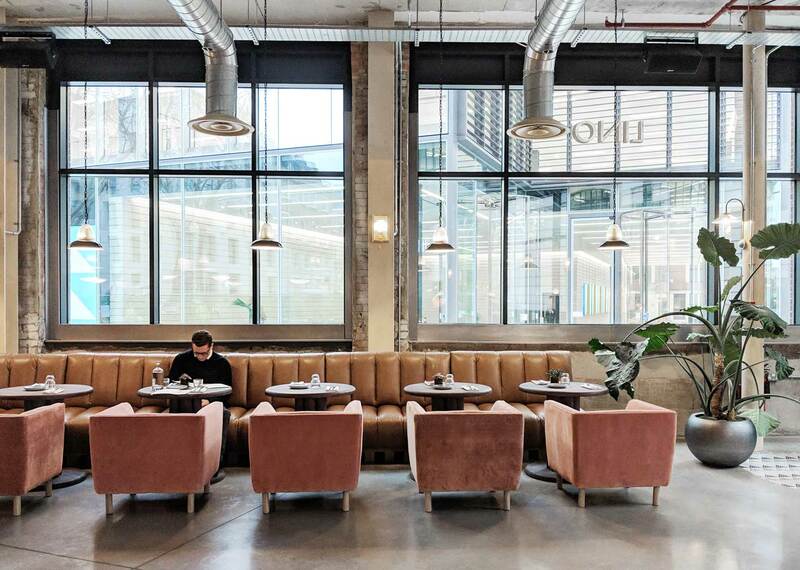 The exterior of the Victorian building – previously a linoleum factory – retains its historic glazed bricks, but inside the Square Mile restaurant was a ‘blank slate’ for the London practice to work with. 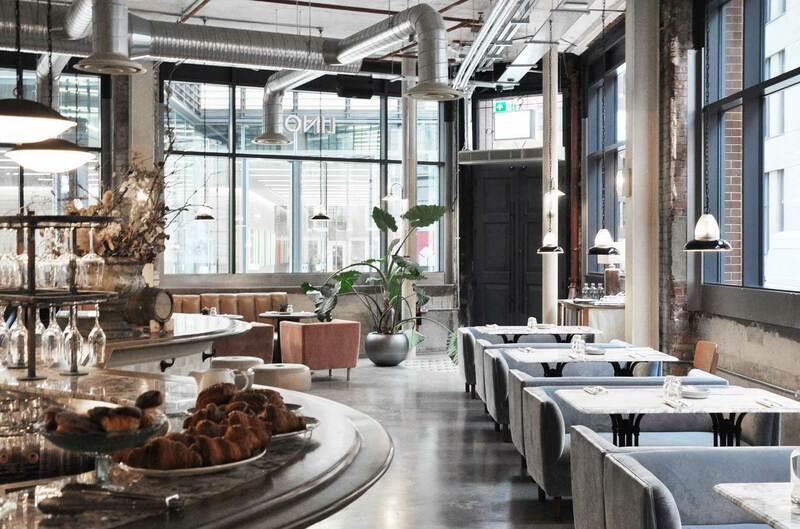 Red Deer has kept the concrete and exposed pipes that nod to the site’s industrial past, but contrasted them with furniture including leather banquettes and pink velvet chairs, to give the restaurant a ‘domestic’ feel. 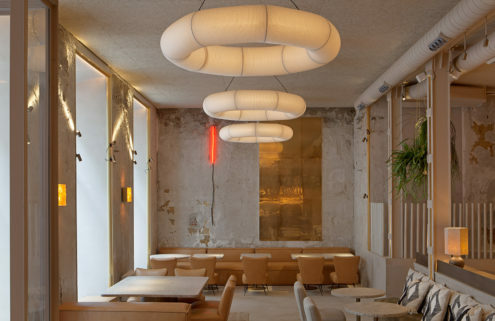 They focused on sourcing reclaimed pieces – particularly in materials that have ‘gone out of fashion’ – as well as working with local craftspeople. 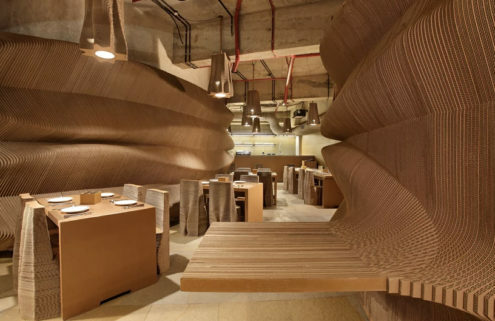 This sustainable aesthetic echoes the menu, which is based on seasonal shrubs, fruit and veg. Everything is baked, picked, fermented and cured on site. Lino’s bar anchors the space, and has a distinctive four-leaf clover shape, designed to create more intimacy between guests and bartenders, explains O’Brien. 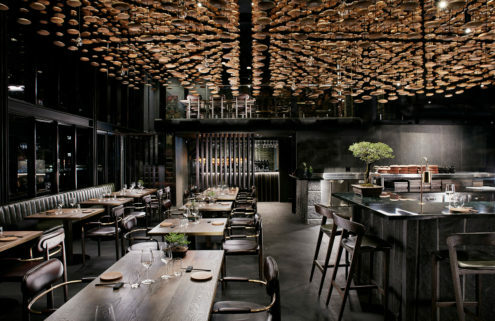 Diners can also watch their food being prepared in the open kitchen. 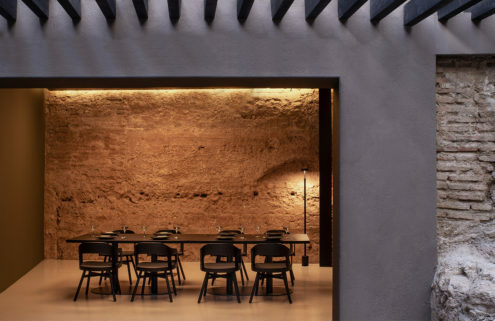 Those in a hurry can head to the grab-and-go lunch area at the back of the restaurant.